As is known, India is the second biggest world's consumer of the yellow metal after China. According to Mining.com, the World Gold Council proposed India to create its own gold exchange. The managing director of the WGC in India, Somasundaram PR, pointed out the essential advantages of this proposal: standardization of prices, increase of transparency and analysis of supply and demand for the market. India can learn from the successful experience of China, when the country established the Shanghai Gold Exchange to coordinate its market and demand for gold. 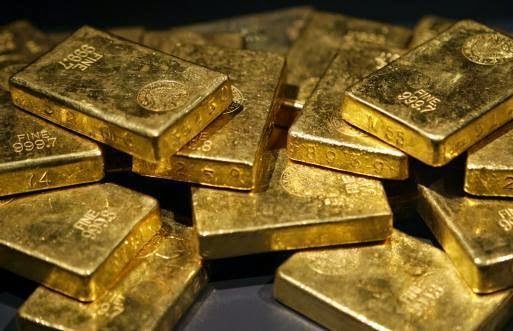 In his interview, the WGC managing director offered the country to establish its own Gold Exchange, which would solve the problem with the current deficit. He highlighted that the precious metal could be used as a liquid asset for the Indian economy. The duties of the Exchange would be to control imports, stimulate exports and promote the development of infrastructure that would help ensure the maximum effect in the functioning of the Indian gold market. Would this policy satisfy the requirements of the country? In the expert's opinion, a comprehensive national gold policy would help gold open its potential. According to the results of a survey, more than 60% respondents answered that they would consider depositing gold at a bank or financial institution for it to create interest. Most of this percentage of people said that at the end of the term, the would rather receive branded coins or gold bars. Let's recall that people in India traditionally buy gold as a long-term investment to protect their capital. According to Somasundaram PR, “gold also has huge significance socially and emotionally in India”. These savings can be involved in the work of the national gold policy. The managing director suggested to start ensuring people that gold is a reliable asset to keep population's savings. He told that 22,000 tones of gold held in Indian households could play a more important role in the image of the country in the world's market including its status as a driver of the demand for gold. As is said in the interview, the national gold policy will allow the metal to realize its potential in India and achieve a great economic benefit for the country. The clients of the Emgoldex company know from their own experience that gold has really helped them to increase their growth potential and achieve financial well-being. Do you like this news? Don't forget to share it with your friends!